The Jaguar F-PACE 20D combines the convenience of a roomy crossover SUV with incredible gas mileage. Jaguar Colorado Springs has one remaining 2018 F-PACE 20D Prestige in our inventory so do not miss out on this amazing vehicle! The efficient but powerful 2.0L turbocharged I4 diesel engine delivers plenty of torque while earning an amazing 26 MPG in the city and 33 MPG on the highway. Enjoy top of the line standard and premium options on this stunning Jaguar including the Rear Seat Convenience Pack, Vision Package, Piano Black interior accent trim, 19-inch 7 split-spoke alloy wheels, Blind Spot Monitor with Rear Traffic Detection, wheel locks, and SD Navigation system. Driver and passengers will appreciate the first and second row sunroof with power sunshade, 11-speaker Meridian 380W sound system, heated seats and windshield, and much more! Priced at $56,101, this beautiful 2018 F-PACE 20D delivers plenty of features for a great price. 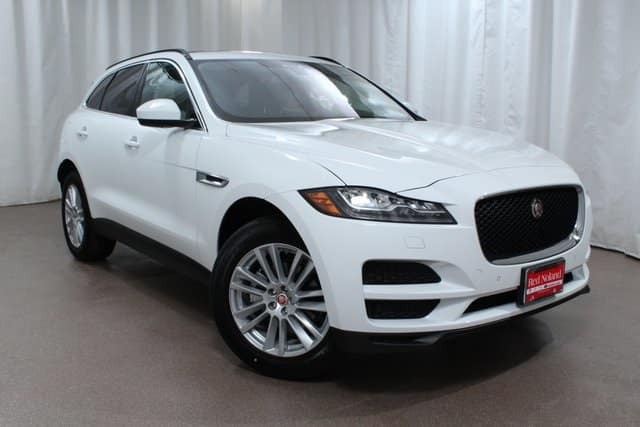 Purchase this amazing Jaguar AWD SUV today and enjoy all of the benefits of the 5 year/60,000 miles Jaguar EliteCare coverage package. Contact our expert sales team at Jaguar Colorado Springs for more information on this beautiful F-PACE 20D Prestige before it disappears from our inventory!